Ukraine’s economy is gradually picking up after a deep recession in 2014-2015 when GDP declined by 15%. The currency depreciated considerably and the banking sector came under significant stress with almost 80 banks closing their doors. The EIB responded rapidly to address the market failures created by this situation, doubling the Bank’s normal lending to the country through the Special Action Plan for Ukraine that delivered EUR 3bn in new loans over the 2014-2016 period, and mobilising technical assistance as part of the overall EU response. Helping Ukrainian businesses to get access to finance is a key pillar of the EIB’s support to Ukraine. For example, in 2013 the Bank signed a EUR 220m credit line to Oschadbank to support its outreach to SMEs. With EUR 200m of this lending already allocated to final beneficiary companies by the end of 2017, it is now possible to take a closer look at the impact this lending is having. So far, the credit line has helped to sustain some 57 400 jobs in more than 400 companies. Nearly 90% of these companies are classed as SMEs. A strong focus of the lending (60% of loans) has been agriculture, a sector of particular strategic importance and growth potential in the country. Vassily is the Director and co-owner of ProjectAgroBud, a farming company with 18 permanent employees. His goal for the coming years is not only to raise the productivity of the 2000 ha they farm, but also to raise the quality of the crops to allow direct exports to the EU market. 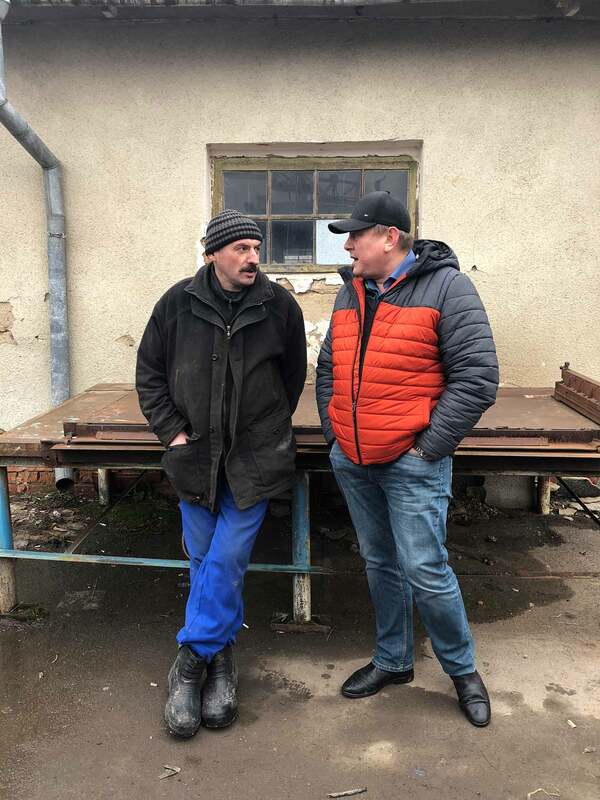 This is why he took a loan of 3.6m Hryvni (UAH), the Ukrainian currency (then EUR 109 000), from Oschadbank in June 2017 to purchase two new, high-tech machines for soil preparation and sowing. These will allow for easier soil preparation and more precise sowing that wastes less seeds. The new seeder will also enable them to use high quality imported seed, which Vassily expects will raise profitability, even if it is more expensive, by raising yield and quality standards. He chose Oschadbank for the 5-year loan because, he said, it offered the best conditions, and he knew some of the local staff in the bank. He is eagerly awaiting the first harvest with the new machines in July. If the results are good and the market conditions stay favourable, he is hoping to invest even more in high-performance machinery to increase yields overall by 20-30%. 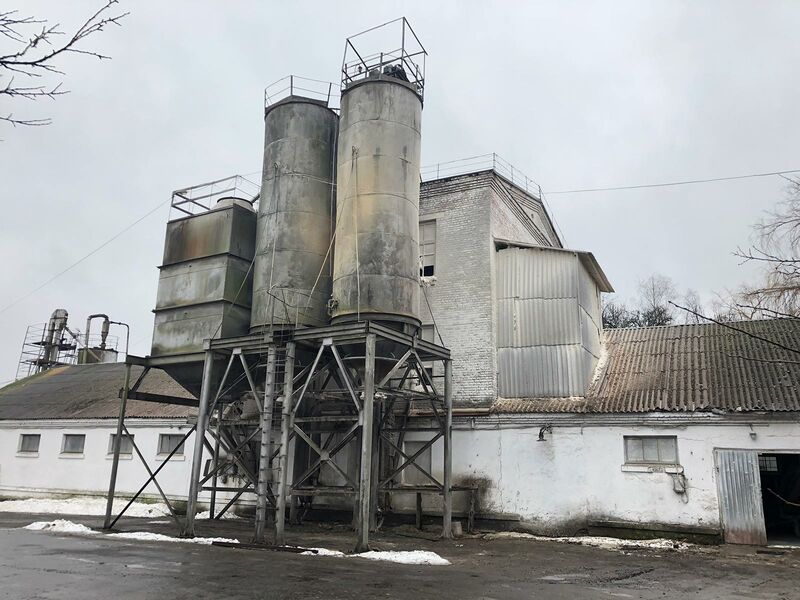 When the flour mill in Khmilnyk faced closure in 2006, the Shar family business stepped in to buy it and keep the operation going. Now with eight people employed at the mill (the whole company has 23 employees), the future of the mill is looking brighter. This is despite some rather adverse conditions. With frequent power outages and high electricity prices, the mill is only able to run at 60% capacity, while exchange rate fluctuations pose another risk for the business. The owner, Natalyia Podrushniak, described how access to finance is another problem. A UAH 6m (then EUR 250 000) loan from Oschadbank – the only bank that agreed to lend to them – has been vital in allowing a sufficient scale of operation to make the mill profitable. The company has now succeeded in upgrading nearly 40% of the machinery in the mill by reinvesting company revenue. The company is hoping to use more credit from Oschadbank to hire more staff, increase production and start exporting rye flour directly. 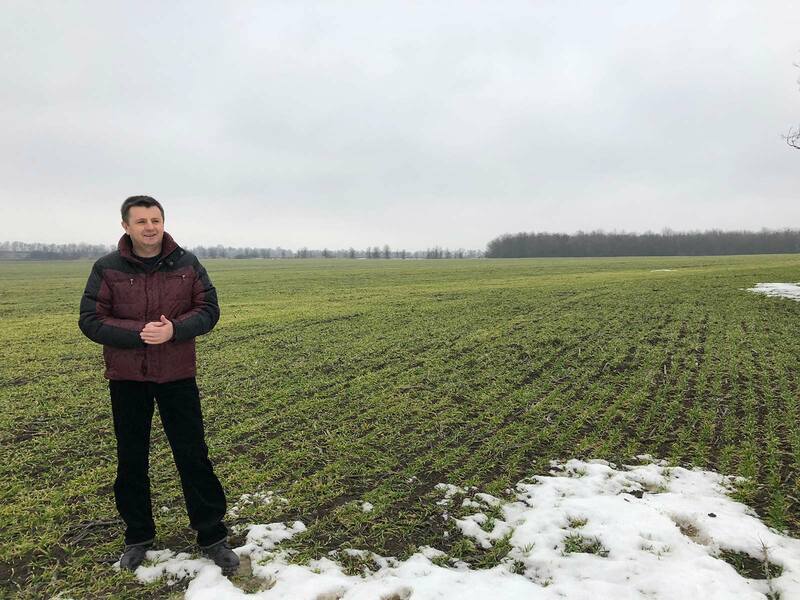 Orion, another farming business in the Vinnytsya region, went to Oschadbank for credit for a number of reasons: a competitive interest rate, a close local branch and a better all-round package. They have now benefited from three EIB-funded loans from Oschadbank, worth a total of UAH 7m (then EUR 244 000). The new machines bought with this credit add a lot of value to the business. First, they are cleaner and more efficient – more than halving the volume of fuel used relative to the outdated machines they were using before. They also reduce other forms of waste, allowing easier and more precise seeding and fertilizer application. Sergej, the financial director, described how they now have 34 full-time employees and as many as 70 employees during the harvest. Whilst hoping to expand production, they are also now renting out machinery to other farmers in the area. Indeed, the company is keen to ensure they share benefits with the wider community in Borivka, the nearby town. They have been active by providing support to their local school and other local projects, as well as sponsoring the local football team. Former heart surgeon, Dr Oleg Ishchenko, founded Medicus at the beginning of the 1990s just after the collapse of the Soviet Union. He recounts how he had initially wanted to open a clinic, but that proved impossible at the time. Instead, he focused on running pharmacies in Kyiv and on the wholesale supply of medical drugs and equipment, working to have a positive impact on health through the supply of high-quality equipment and medicines. The company was hit badly by the economic crisis in 2014, being forced to shed around half its staff. Dr Ishchenko had to start again more or less from scratch. 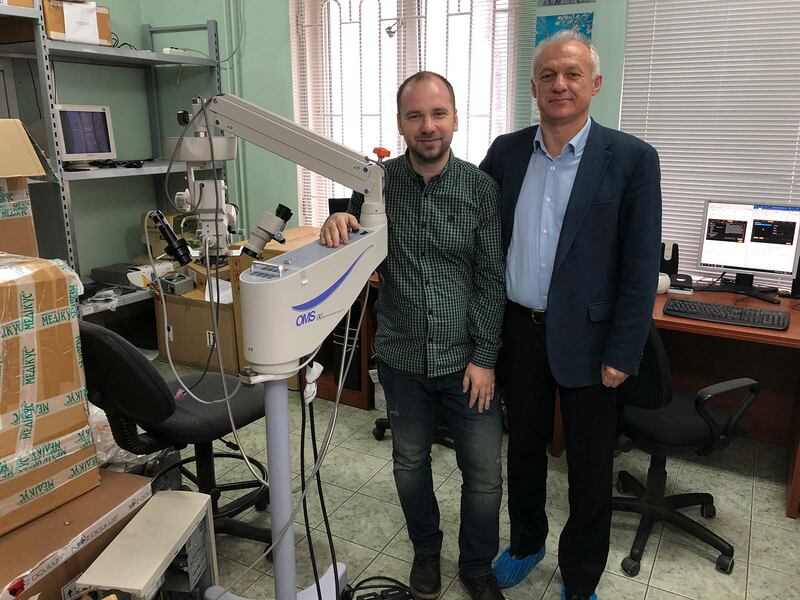 With 130 full-time employees, the company increasingly specialises in ophthalmological equipment, supplying hospitals and clinics throughout Ukraine and providing long-term service for the machines they sell. To provide cheaper options they also test and service used equipment for resale in the country. A loan of UAH 6.5m (then EUR 238 000) from Oschadbank in 2016 has proved important in this recovery process, helping to finance various working capital needs and enabling the company to secure a number of public tenders for the procurement of equipment.